This time of year, there’s a ton of excitement for the upcoming winter from ski movie premieres to the first resorts opening up. Besides getting amped for sliding down the mountain, we should all make sure that our minds are ready as well. 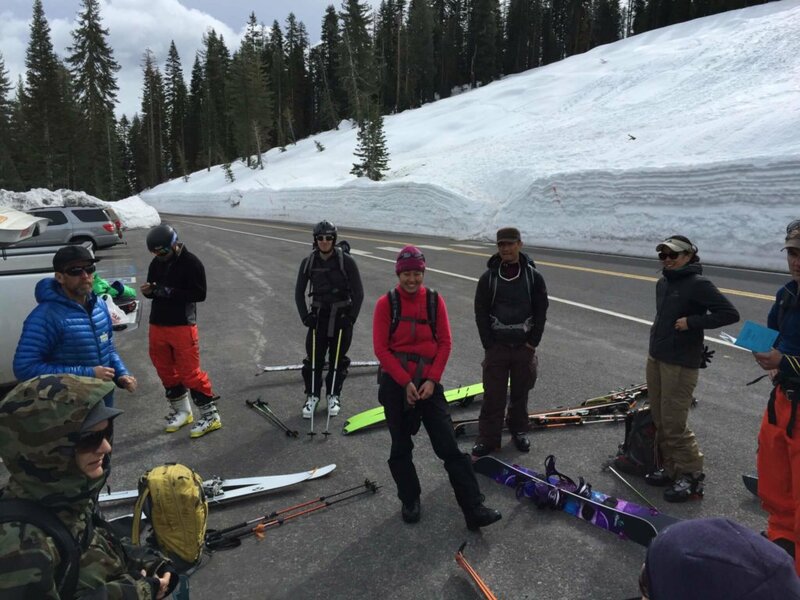 We do this by heading over to the annual California Avalanche Workshop. It’s an opportunity to hear from experts and some 1st person accounts of when things didn’t go right. We HIGHLY recommend everyone that ventures into the backcountry check out their local avalanche workshop. 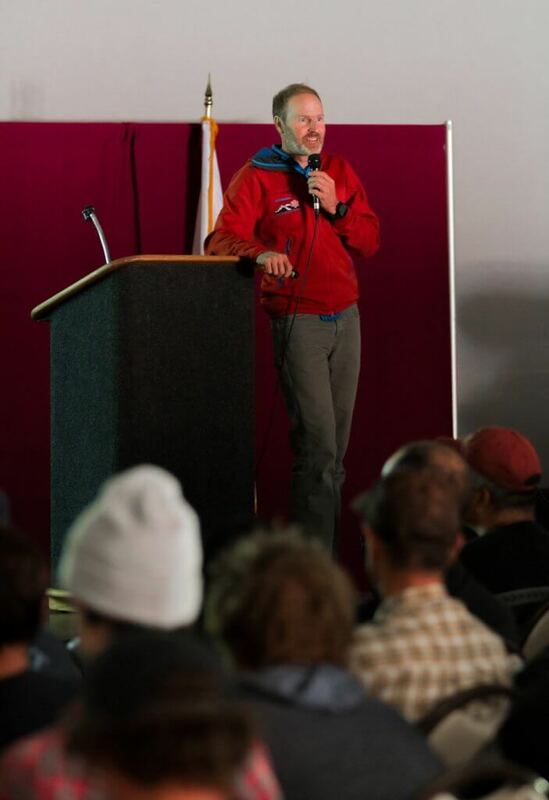 Here’s a recap of the 2018 California Avalanche Workshop recently held in Lake Tahoe. No matter the answer, the 2017-18 season wasn’t ideal for anyone. We started the winter early with a storm on September 22nd with turns being had on Carson Pass. It was followed by a large, high snow level storm in mid-November that got people out into places like Mt. Rose. With a long gap in storms, it caused the initial snow to become faceted. This meant a deep persistent slab formed and subsequently caused a massive avalanche on Mt. Rose with 2 people caught. The eerie thing is that this EXACT situation happened the season before in 2016. Lesson learned: Rotten, early season snow can be very dangerous, so watch out for red flags like whoomphing & shooting cracks. A few small storms then happened in January and February, but due to long dry spells, even safer terrain found on Castle Peak was triggering on 2/26 & 2/27 after a foot of snow. Then Miracle March happened. It went from no snow to deep persistent slabs. Natural avalanches were happening everywhere on March 3rd & 4th with big consequences. This was the case throughout March. The scariest one was on Elephant’s Hump. Kids were playing in the sledding area and just above them they were unaware that they triggered a slide. Fortunately, it didn’t slide into their area, but it shows that as soon as you step out of a car in the backcountry, you better be prepared. Overall, while on the surface we received 194% of average precipitation… we only got 69% from snowfall. The major problem last year: deep persistent slabs. Something that the Lake Tahoe region, due to maritime snowpack, rarely sees. But, that’s the new normal…. Variability. 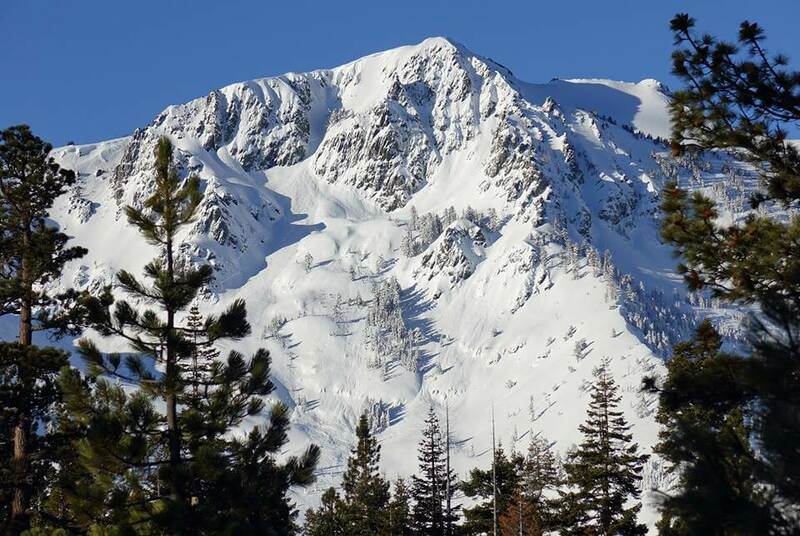 The Sierra Avalanche Center understands that most of us can’t check the avalanche advisory everyday. So, to help us out, they’ve now created a Weekly Summary. This is especially helpful for those of us that only occasionally head out. Worth checking out this season. Of course, prevention is more important than treatment. But, what if an avalanche does occur? For many of us, after the probe strike in companion rescue, we have no idea what to do next. The first major step is to assume that they’re hurt. This means making sure you have a shovel strategy. When digging, create a platform so you can have them lay flat. After that, the next thing to do is check their airway and see if it’s obstructed with snow. Asphyxia is the major killer and if their airway is blocked, that’s a major issue. Second, if the airway is clear or cleared, check if the person is breathing. Lastly, once the patient has a pulse and breathing, it’s about circulation. 30% of avalanche victims die from hypothermia. It’s critical to get them OFF the snow (put items underneath them & try to keep them warm). In 2010, the American Heart Association changed the sequence from ABC (Airway, Breathing, Compressions to CAB). For avalanche victims, it’s still ABC because you don’t have oxygen in your blood. Of course, getting a first aid certification is key but if something does happen, follow your ABC’s & it’s 30 compressions to 2 breaths. How Do You Know Your Hypothermic? An easy rule of thumb is if the person has been buried for more than 60 minutes, they’re hypothermic. This means you have to warm them up & handle them gently. After 20 minutes if there’s no pulse, you’re not going to come back. 60 minutes + Blocked airway even with pulse, no one has survived in the history of humanity. 60 minutes + Free airway, people HAVE survived so swing away! In summary: Handle gently, use the “ABC’s,” and the next piece of gear outside of the standard backcountry arsenal you should consider is getting a CPR mask with assisted ventilation. Because, ultimately we all don’t wanna deal with our buddy’s snot-sicles! For those that have ventured up to Mt. Shasta, you’ll know that it’s a beautiful peak but it’s also home to some very “special” kind of folks. The reason is because it’s considered the root chakra of the world. 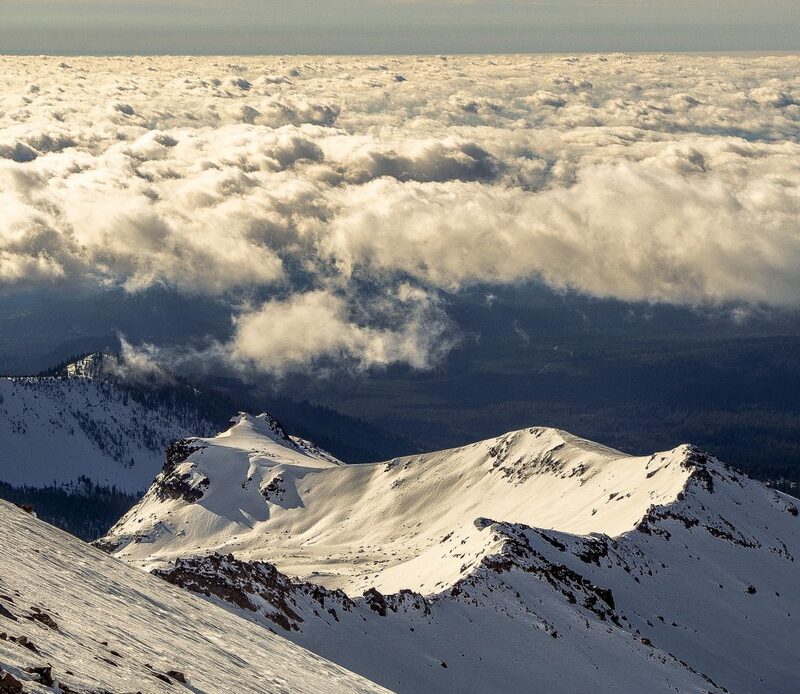 It’s also a place for amazing backcountry recreation. Ever since snow machines existed, Shasta has had them. It’s only in the last decade due to new machines and rising snow levels that conflicts between snowmobilers and skiers have begun to arise in the Mt. Shasta area. Before the 2013/14 season, the Mt. Shasta Avalanche Center had barely enough budget to keep open. It wasn’t until they received money from the CA OHV grant were they able to up their forecasts to 7 x’s/week and hold 3 paid positions. As of today, they now get 47% of their seasonal budget from the grant. To give back, they’ve reached out to these recreationalists and provide an annual avalanche course geared towards snowmobilers. With most not having avalanche education, this is key to keep people safe. So, the next time you head to Shasta, remember that if it wasn’t for those snowmobilers, you wouldn’t have the Shasta Avalanche Center. 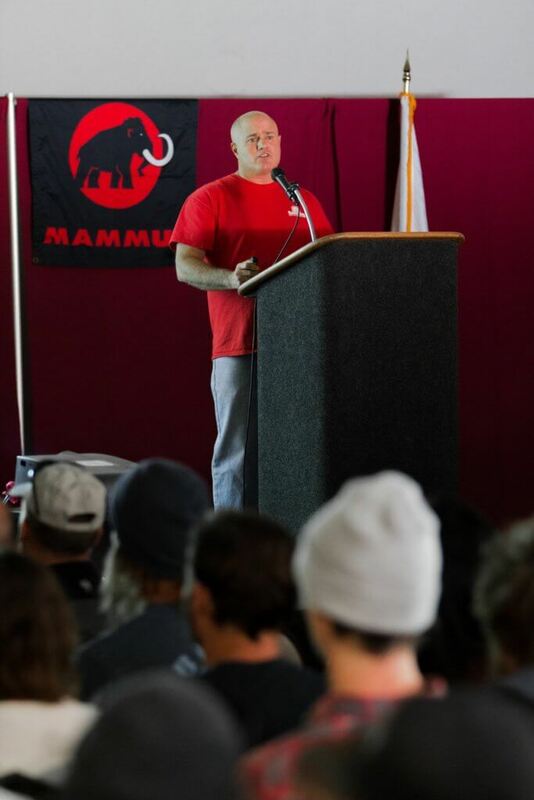 As the resident “sledneck” of the Sierra Avalanche Center, Travis has spearheaded the motorized section of their education. Human powered backcountry travel is very linear and binary… you move slowly, follow a skin track and slowly make it to the top. 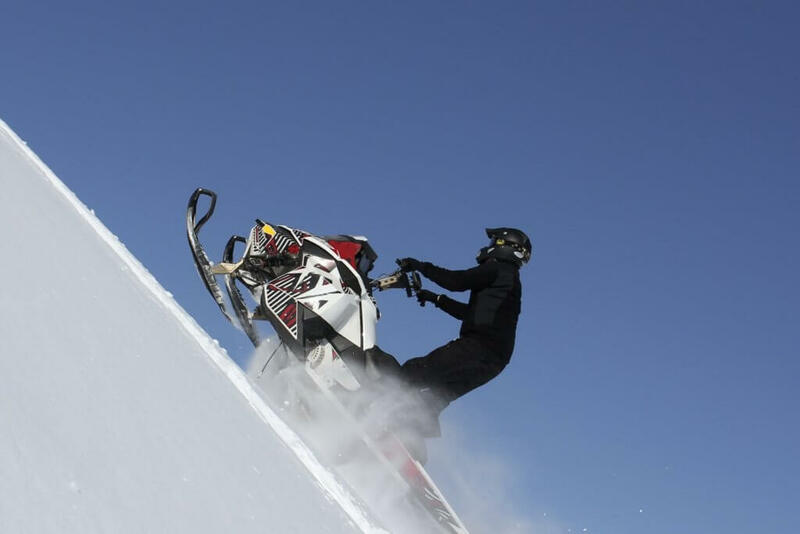 In contrast, snowmobiling is much more dynamic. Things happen fast and very non-linear. So, why are they surviving? Similar to Happy Gilmore, they’re feeling the “flow”. Instead of rigid concepts, they use procedures to make sure they keep safe. This allows them to adapt and manage change more easily. Even for human powered enthusiasts, this is a great idea to have when venturing out into the wilderness in addition to the concepts. Acronyms are king in the avalanche world. Each organization, event and workshop has one. The question is what the heck are they and what do they mean? Mike helps us understand them a bit more. The American Avalanche Association (A3) is like a union for the professionals. They help provide financial backing for workshops such as the California Avalanche Workshop and consolidate data from across the country. 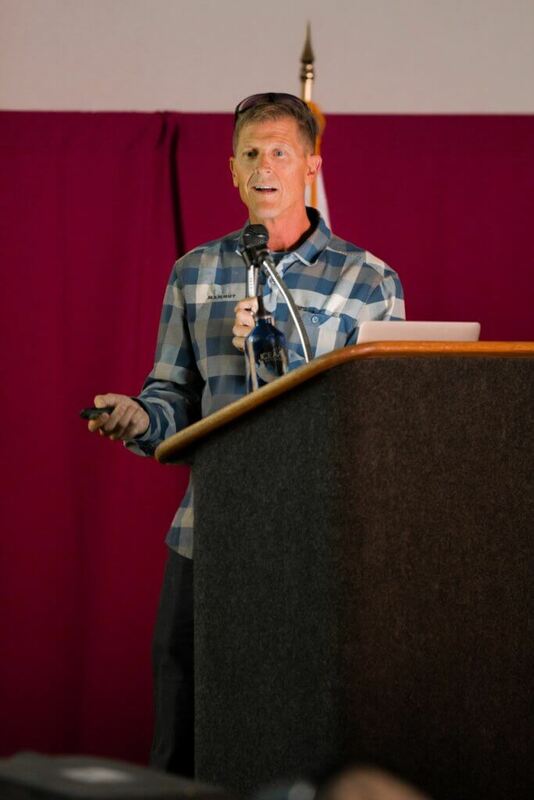 AIARE (American Institute for Avalanche Research & Education) is the national non-profit that creates the curriculum that Providers must follow. They also train instructors and teach professional classes. The National Avalanche Foundation (NAF) & International Snow Science Workshop (ISSW) are both events that happen every two years. The NAF is a five day school that occurs every two years focused on training professionals primarily in the ski patrol realm. The ISSW is a gathering of snow science researchers and practitioners who share and exchange ideas and experiences. There are many ways to help manage risk in the backcountry. The first and most important is choosing the right partners. Having someone that is “powder hungry” could lead you into places that are way too dangerous. The next consideration is of course carrying the right tools (beacon, shovel, probe) and understanding how to use them. The last key to the puzzle is to understand WHERE we’re traveling. 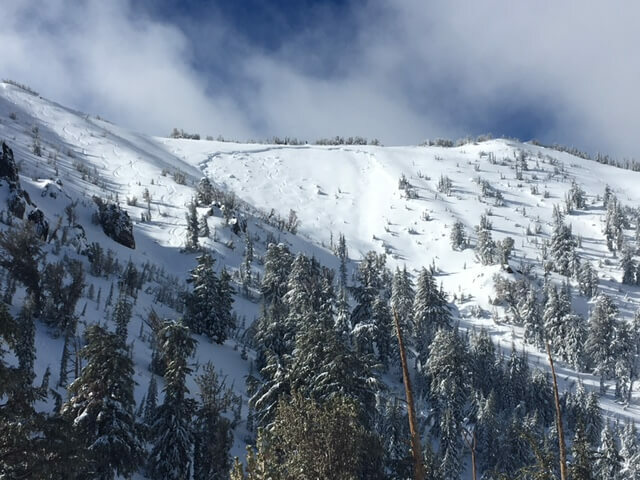 To help, the Sierra Avalanche Center introduced the concept of avalanche problems as part of the advisory six years ago. Combined with the danger scale, it helps backcountry travelers navigate around the problem areas that day. 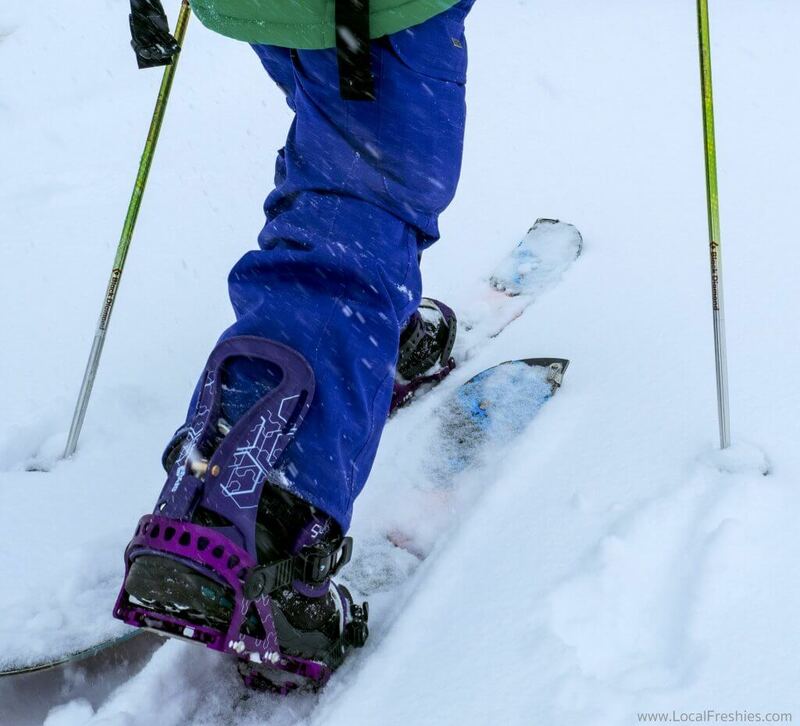 It’s a good idea to understand, based on the forecast, if we should ski simple terrain or if we can enjoy challenging or even complex slopes that day. This year, the ISSW was held in Innsbruck, Austria from October 7th – 12th and some interesting findings were given. Snow scientists are making great strides in modeling based on equations which will help with forecasting. There’s also been some advancement with remote sensors. Concepts like using planes, drones and satellites to see how the snowpack is doing and if there are avalanches occurring in remote areas. Some of the results from scientific research were fascinating. They were able to confirm that storm snow is just as bad at bonding as surface hoar. And that even though surface hoar does get better at bonding over time, it’s still VERY weak. Bottom line, there’s no such thing as “average” conditions anymore. From rapid warming to snow loading in the early season, it has become much more variable and difficult to forecast. Two words should come to mind when you think of a great leader – Inspire and Empower. People that are true leaders won’t point the finger but instead help the ones surrounding them become better. The bad ones are like cornered sheep with a flamethrower. Even in backcountry travel, each person that’s part of the group should consider themselves a leader. It’s up to us to make the group stronger. It’s always easier to point the finger and say it’s HIS or HER fault, pushing the blame to someone else. But if you’re a leader, you understand it’s your responsibility on how your team responds. Being an effective communicator isn’t just about spewing words. It’s about listening, facilitating discussion and setting expectations. If you do this, you will enjoy the day out that much more. All of us have weaknesses. Understanding when you’re put into a stressful situation how you’ll react, the better you can handle it. To make a stronger team, you must build trust. It’s OK to make mistakes, but it’s how you all learn from them that truly matters. Making this connection and caring about each other will help you succeed. For those unaware, Todd is a legend not just in Lake Tahoe but around the world. In the past few decades, he’s been everywhere from Tibet to Antarctica to his home stomping ground of the Sierra Nevada range. In his 25+ adventuring years, he’s never been caught in an avalanche until that fateful day of March 25th, 2017. Out of all the things he’s done, him telling this story might be the most courageous. Putting a mistake out into the public can lead to harsh critics, but he understands the importance of sharing & learning. On one of his guiding journeys up to Svalbard in Norway, he had met an 18-year-old that recently came to Lake Tahoe. Three years later, he’d come into town and wanted to go skiing with Todd. Todd suggested hitting up Mt. Tallac since it was the most iconic peak in the Lake Tahoe basin. The plan was to head up to the peak after Todd got out of work at 9:30 am. 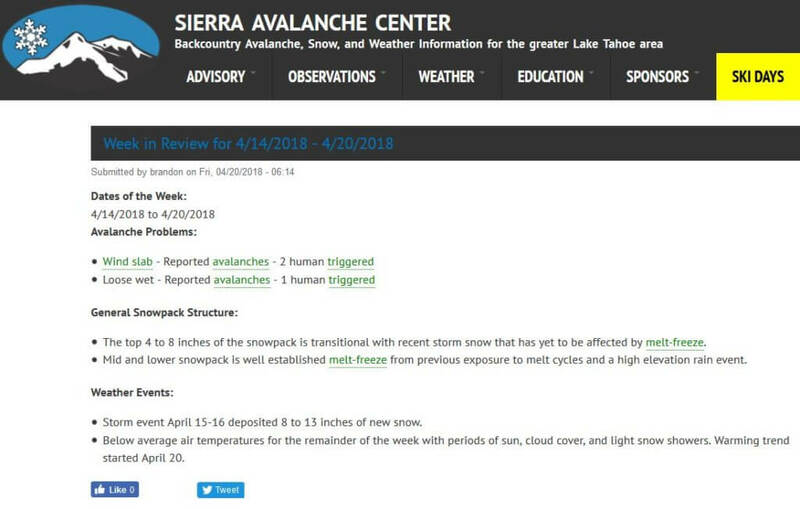 He did the normal things like checking the avalanche forecast which stated that there was going to be rapid warming and hazards would increase. But as they climbed up, the air temps were below freezing, and a thin cloud cover blocked the majority of the sun. They did a few sample test slopes and everything seemed in order. Todd gave his guest the option of hitting low angle untracked pow or venture to the more iconic line known as the Cross. His partner eagerly suggested hitting the Cross. Around 11:40 am, Todd dropped into the line making a skier cut. Suddenly out of nowhere, the top 6 inches of snow gave way. The martini glass shaped bowl caused the snow to funnel quickly into the center chute, catapulting him out like a cannon. Barely missing some trees, he continued his dangerous slide right over the massive cliff next to the Cross. In the middle of the air, Todd knew this was going to be bad. He’d broken one of his skis but luckily landed safely with only a few cuts and bruises. After the adrenaline had given way, a sudden flood of shame rushed over him. “How could this have happened? Did I miss some red flags?” The one thing he didn’t realize was how strong a late March sun could be even through the cloud cover. The bowl had absorbed the sunlight creating rapid warming that he wasn’t as aware of. After a night of soul searching and looking back at it, Todd realized that he needed to talk about it and use it as a learning experience. As you venture out this winter, remember that having fun is key but so is coming home safely. Here’s to a great 2018-19 season!